The Great Junior Bake Off! 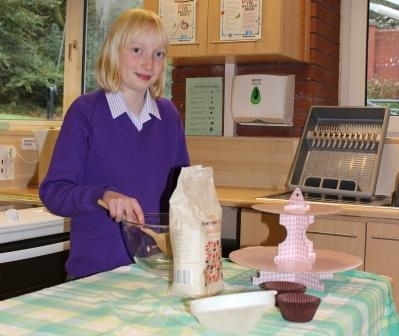 Isabelle Shaw (7M) successfully made it through to the Junior Bake Off after being chosen from 10,000 other junior bakers. 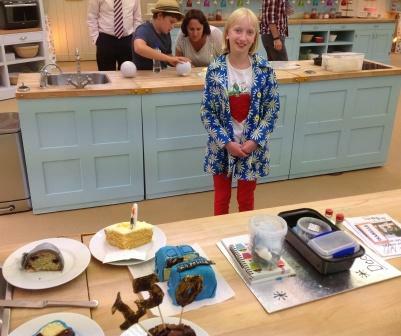 Filming took place during the summer and Isabelle had to complete a technical challenge, where she made a sticky toffee pudding, Her show stopper challenge had to be a cake inspired by the future. To this end, Isabelle made a Genoise Battenberg Chocolate Tardis! 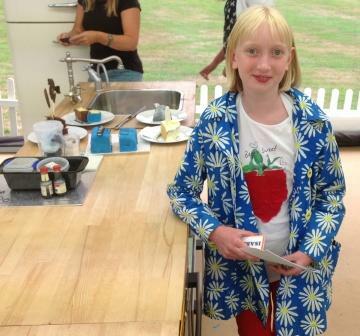 When asked about her time in the competition, Isabelle said “it was a nerve wracking, but exciting experience”. The show will be aired during the second week of November – we look forward to watching you Isabelle!